Database software with comprehensive customization options to build your own database adapted to your own needs. Store & update any type of information in a single location to find it quickly any time you need! are just a few examples a customizable database can save for you! Recommended for both business and personal applications on a single computer. You may start building your database application from scratch or set up one or more of the 18 different application templates as a starting point. A powerful reminder feature is available for creating time / task management application. You may always upgrade to Teamwork edition by purchasing the upgrade package. You do not lose any information on your current database when registering trial version or upgrading to Teamwork edition. Your existing data is fully preserved in both cases. You may try SpeedBase for 30 days free, with no obligation to purchase! Multiuser database software with comprehensive customization options plus team collaboration. Recommended for information / task management and team collaboration needs in business or personal projects. Contains all of the features of the Pro edition (see above). Allows you to create and maintain multiple users with access rights management. You may install this edition to (and connect to your database from) multiple computers. Allows instant messaging between connected users. License contains 5 users/installations by default and can be incremented by purchasing additional user package when needed. You do not lose any information on your current database when upgrading from trial or professional edition. Your existing data is fully preserved. Multiuser connection feature is not available during trial period. You should install SpeedBase Professional to evaluate this product. Custom reporting is an optional extension to the SpeedBase products above. By default, SpeedBase has a basic reporting functionality in a fixed format. Custom reporting feature allows you to design a fully customized report template which you can use for printing your records. Recommended if you need to generate customized report. Allows label printing using data in your database. Allows you to print related records together with main records. You may freely locate each data item on page or insert data in tabular format. You may apply formatting like font, color, alignment to each data item or other objects. You may insert labels, pictures and shapes for decorative purposes. You may design page header and footer areas seperately. You may place relational data (e.g. 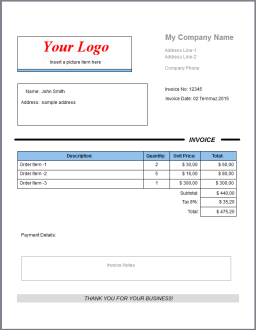 invoice data and its order items). You may create multicolumn pages. You may experiment this feature during your trial period. Open print window and click "custom reporting" button to design your own report template. See documentation for more info. Free, single user database software for managing customer/product information and customer support. Recommended for information management in small business on a single computer. Included modules: Appointments, Contact/Company database, Issue Tracking, Orders, Invoices, Products, Projects, Idea Box, Service Contracts, Activity logging, File Archieve and Task Management. A powerfull reminder feature is available for time / task management. Database customization features are not available on this edition. You may however upgrade to Pro or Teamwork edition by purchasing them without data loss any time you want. Discounted prices until Nov, 10th ! Discounts will end and the price scheme will be updated as of Nov 10th. * Actual limit for data fields you may create depends on your selection of data types. Certain data types (lookup, computed, file) allocate 2 fields for each. In majority of applications there are few of them and the maximum number of fields you can create is well above 200. For more details see documentation. * The maximum number of records is not restricted by the software. Actual limit depends on backend database engine. * You may upgrade from free to paid edition, or, Pro to Teamwork edition any time you want. Your existing data is fully preserved during the upgrade.